It comes just in time this year! With #Daughter’sDay trending on almost every social channel on 24th of September, it is only perfect that L’Oréal decides to announce the winners of ‘L’Oréal India Young Woman for Science Scholarship 2017’ complementing this global event celebrating daughters. Currently, in its 13th year, the Young Women in Science scholarships were instituted in the year 2003. Since then L’Oréal has empowered 300 young women to pursue a career in Medicine, Engineering, Information Technology, Pharmacy, Biotechnology, and other graduate courses. 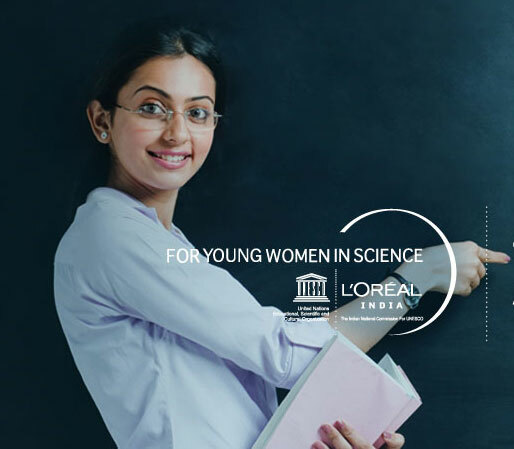 L’Oréal India Young Woman for Science Scholarship: Why empower women in the field of Science? On 23rd of September, India celebrated the 100th birth anniversary of Dr Asima Chatterjee. Dr Chatterjee dedicated 60 years of her life towards research of native medicinal plants. A scholar and globally renowned chemist, she has had an illustrious career and was the first female recipient of the coveted Shanti Swarup Bhatnagar Prize. What makes this story relevant is that it was only after several decades that another female scientist would make it for the prize. Young Women in Science scholarships by L’Oréal is aimed at cultivating more such iconic female figures in the field of science. It is an effort to bridge the widening gap that women face when it comes to pursuing and making a career in science and allied streams. What is the reward of L’Oréal India Young Woman for Science Scholarship? Young women from economically backward sections of the society are given the wings to achieve their dreams. A corpus funding amounting to INR 2,50,000 over a span of four years is offered to ever recipient for taking up higher education in the field of science. After going through a stringent selection process, 50 women are on the verge of achieving a breakthrough in their education that will enable them to make a mark in the field of science. For us, they are not only the winners of a scholarship, they are the future scientists of India, the rising stars of the horizon, the women who will bring about a welcome change. Buddy4Study hosts many other such scholarships in various academic streams. If you wish to empower your future path of education, if you wish to create a future you desire, register with Buddy4Study and explore the world of scholarships that change life.